The vote in the square is being held so Umbrella Movement supporters can express their views about the two proposals made by the S.A.R. government, and to put pressure on the government. In the report to be submitted by the HKSAR Government to the Hong Kong and Macau Affairs Office of the State Council, it must include a suggestion that the Standing Committee of the National People’s Congress withdraws its August 31 decision. The multi-party platform for handling political reform controversies must affirm the abolition of functional constituency in the 2016 Legislative Council election and must include civic nomination as a nomination method in the 2017 Chief Executive election. Voters must enter the occupied area and vote using a mobile phone that can send SMS text messages. They will need to provide their ID card number and mobile telephone number in order to verify their identity via SMS message. After the recent meeting between the Hong Kong Federation of Students and government officials, Chief Secretary for the Administration Carrie Lam Cheng Yuet-ngor made a number of proposals, including the government’s submission of a report to the State Council’s Hong Kong and Macao Affairs Office (HKMAO). This proposal would cover the opinions expressed by all sectors, including those in education, on political reform. Another was the establishment of a multi-party platform for different sectors of society, including students and young people, to participate in discussions. However, it would focus only on Hong Kong’s long-term constitutional development after 2017. In discussions with various sides, it was agreed that the S.A.R. government’s two proposals lack concrete details. Therefore, there is a need to make counter-proposals to the government. With regard to the report to be submitted to the HKMAO, it was felt the opinions expressed should include the view that the National People’s Congress Standing Committee (NPCSC) should withdraw its decision of 31st August. This is because the NPCSC decision has created a rigid framework for political reform, which include the keeping of the existing four sub-sectors of the election committee for the nominating committee, the cap on the number of Chief Executive election candidates to two or three, as well as the setting of the threshold for nomination to half of all the members of the nominating committee. Therefore, unless the 31st August decision is withdrawn, it would be hard to realize real universal suffrage as it is not compatible with the strong desires for real universal suffrage expressed by Hong Kong people through the Occupy Movement. As for the multi-party platform. It is felt the platform needs to confirm the demands that functional constituencies should be abolished for the 2016 Legislative Council election and that civil nomination should be a way of nominating candidates for the 2017 Chief Executive election. These have always been the demands of Hong Kong people and it is hard to have real universal suffrage without them. When voting, you may either Agree, Disagree or abstain. The results will be given to the S.A.R. government for response, in order to pressure the government into making more concrete proposals. The vote will be held on Sunday 26 October 2014 and on Monday 27 October 2014 between 7 pm and 11 pm. It will also be held at the same time in the occupied areas of Admiralty, Mong Kok and Causeway Bay. Voters must enter the occupied areas to vote. They need to do so by using a mobile telephone that can send SMS text messages. They will follow instructions on site to enter the system and provide their ID card number and telephone number for verification via SMS. All the information provided will be encrypted and cannot be deciphered in any identifiable form. It will also be destroyed after the vote in order to protect privacy. 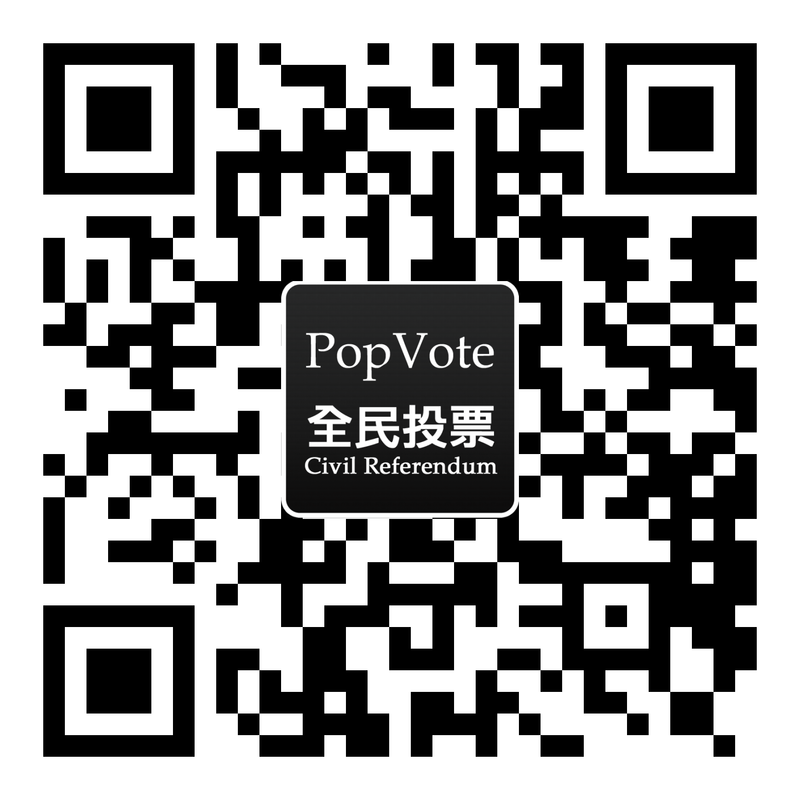 We urge everyone in the occupied areas to first download the Popvote App. Before submitting their vote, voters will be required to state that they understand the content of the two motions and that they support the Umbrella Movement. We urge everyone to think about the possible responses the government may make after we give them the results of the vote, and about how we can react to those responses. We can also think about the next steps and future development of the Umbrella Movement depending on the S.A.R. government’s response.